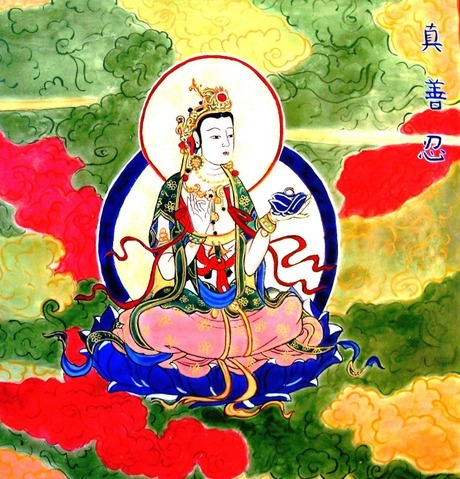 The artist had previously visited the Dunhuang Grottoes in Gansu Province and the Fahai Temple near Beijing, and created this painting using the Buddha portraits there as models. The artist used brushes to paint on a wooden drawing board with mineral pigments, organic, natural colours, and gold. These are traditional painting techniques that originated in the Byzantine Empire.